It is Archdiocesan policy that every school have a school board, regardless of its model of governance. School boards are diverse and seek to reflect the student population, include community representation, and have persons with expertise related to school needs. Enjoy this welcome letter from our school board members for this school year! Welcome to St. Stephen School! We are delighted that you have chosen St. Stephen to educate your daughter or son spiritually, academically, physically, socially, and emotionally. 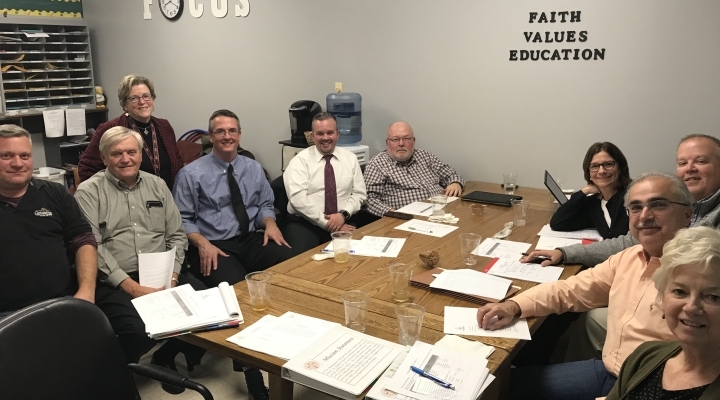 As we approach the 85th Anniversary this September, the St. Stephen School Board would like to thank you for your commitment to Catholic education, as well as your support. This Plan will continue to guide our direction; however our Board is receptive to new ideas. This year's chair, Josh Campbell, and any of the members, will be happy to hear from you. Don't hesitate to contact us through the school office!